Mitsui Chemicals, Inc. (Head Office: Minato-ku, Tokyo; President & CEO: Tsutomu Tannowa) announced that its wholly owned subsidiary, Mitsui Chemicals Tohcello, Inc. (Head Office: Chiyoda-ku, Tokyo; President & CEO: Yoshihisa Fujimaki) has decided to establish a company in Taiwan that will manufacture and sell the ICROS™Tape, a tape for semiconductor manufacturing. The ICROS™Tape is a protective tape used for semiconductor manufacturing. 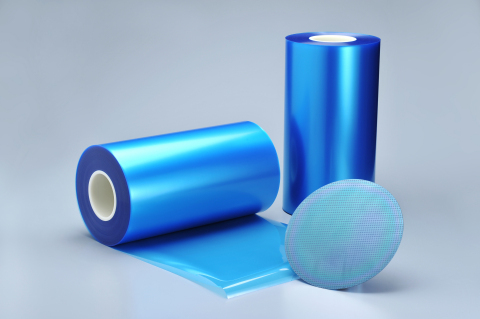 It holds the world’s largest market share as a protective tape for the back grinding process of silicon wafer. The semiconductor market is experiencing growing demand attributable in part to the growth of mobile terminals. Demand is expected to continue to grow at a rapid clip due in part to the gathering momentum of growth in demand for semiconductors for Data Center and IoT-related applications. To respond to the growing demand, Mitsui Chemicals Tohcello will set up a manufacturing and sales base in Taiwan, aiming to build a stable supply system and expand its business domains in addition to increasing its supply capacity. Company Name Taiwan Tohcello Functional Sheet, Inc.
Mitsui Chemicals Tohcello will strengthen its manufacturing, sales, and engineering services to support high-quality products while continuing to bolster and expand its film and sheet business. Trump International Hotel Washington, D.C. Announced as First Forbes Five Star Hotel in Downtown Washington, D.C.